Opportunities for investment in the Kurdistan Region and strengthening of economic and trade relations in various sectors were discussed. In particular, they highlighted areas of mutual interest in industry, agriculture and tourism. The delegation expressed desire to encourage investment in the Kurdistan Region due particularly to the security and stability which prevail in the Region and its appropriate conditions for investment. Starting direct flights between the Kurdistan Region and Saudi Arabia and the opening of a Saudi bank in the Kurdistan Region and Iraq were discussed as initial steps. They also agreed to hold a conference in the Kurdistan Region or in Saudi Arabia with the participation of investors and businessmen from Saudi Arabia, Iraq, and the Kurdistan Region. Establishing a joint committee to monitor progress on these initiatives was agreed. 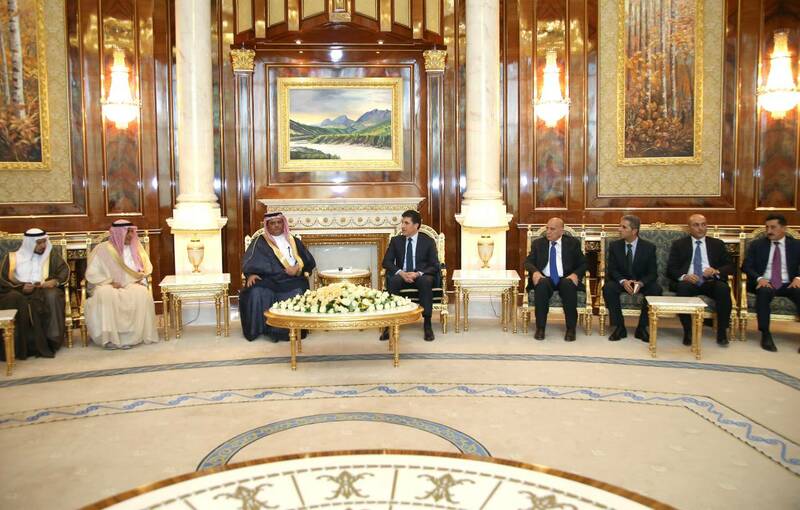 Prime Minister Barzani expressed the KRG’s readiness to provide assistance and facilities for Saudi companies to invest in the Kurdistan Region and to promote and develop economic and trade relations between Iraq and the Kurdistan Region with Saudi Arabia.